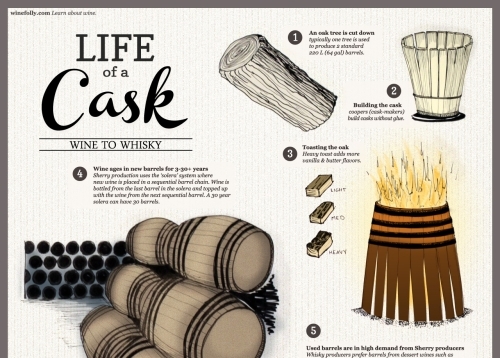 Here is a cool infographic from the folks at WineFolly showing the life of a oak cask from it’s initial use for sherry to its eventual use for aging scotch. Check out the full version here. Thanks to Cocktail Enthusiast for the link. Gizmodo had a great post a couple days ago that’s worth checking out. 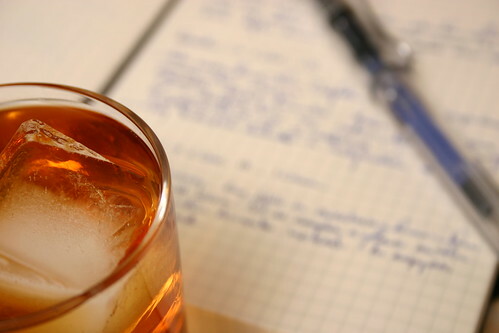 It’s 49 bits of booze jargon that get tossed around a lot when talking about cocktails and alcohol in general. This one, for example, I strongly identify with. I scream! You scream! We all scream…for ICE CREAM! :D And you know what’s even better than regular ice cream? Boozy ice cream! That probably wasn’t a huge mystery for you, but hey, it’s true. 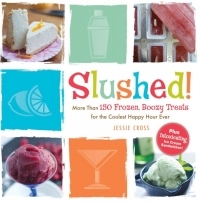 As you can well imagine, when a review copy of Slushed arrived at my door offering more than 150 frozen boozy treats I was more than a little giddy. There are a whole host of delicious sounding recipes to choose from: Campari and Lemon Gelato, Maple Bourbon Yogurt Studded with Bacon and Pecans, St. Germaine and Earl Grey Tea Gelato…suffice to say, the choice was harder than originally expected. But, to give the recipes what I felt was a true test I wanted something fairly simple which should have great flavors. I opted for Death by Double Chocolate Liqueur Ice Cream with a slight twist. 1) In a medium sized bowl, whisk the egg yolks and sugar together. 2) Combine the cream and milk in a medium-sized, heavy-bottomed pot. mixture just starts to bubble at the edges. Remove from the heat. chocolate has melted and the mixture is uniform. extract and chocolate coffee liqueur. I made this ice cream for Mother’s Day (yeah, yeah time’s been tight) and everyone loved it. The texture and flavor were amazing. Very silky with an incredible chocolate flavor. The liqueur doesn’t add any alcohol flavor, but the core flavor (in my case coffee) came through in a subtle, just strong enough way. This book is a huge winner in my opinion. The focus is on great recipes that happen to have booze in them, not mediocre recipes with booze shoehorned in for gimmick’s sake. In Elisabeth’s words “I want to make every recipe in this book this summer!” I concur wholeheartedly.